I have several hundred plants in my rooftop succulent garden – grown in planters of all sizes, shapes and materials. I am very choosy about form and function of planters. I select planters that not only provide sufficient room and the right growing conditions to the plant but also complement the shape and size of the plant. I have planters made from plastic, stone, terracotta, porcelain, wood, and concrete. The size varies from 2 inches (for seedlings in my rooftop succulent garden) to 150 gallons (for palms and other large plants in my landscape garden). 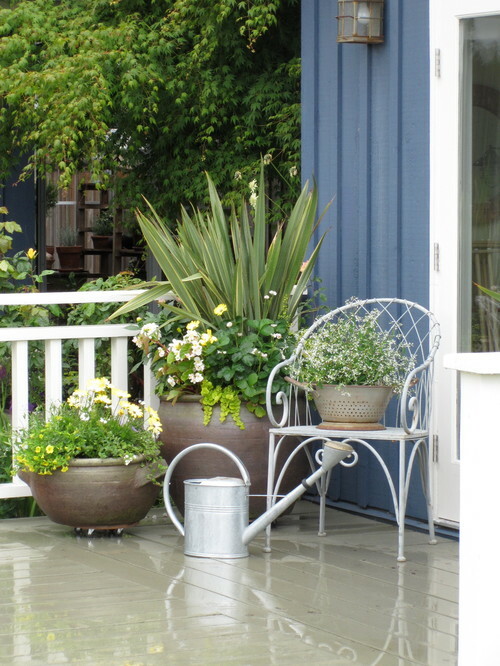 I like large planters (Buy planters online) because of their utility and versatility. They can be used for multiple purposes. 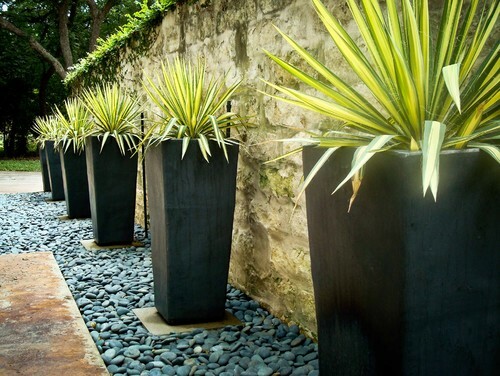 I have used large planters to grow large plants (like palms and some large specimens of Euphorbia and Dracaena), to grow mixed plants in a planter, or some times just to add interesting forms in the landscape design. 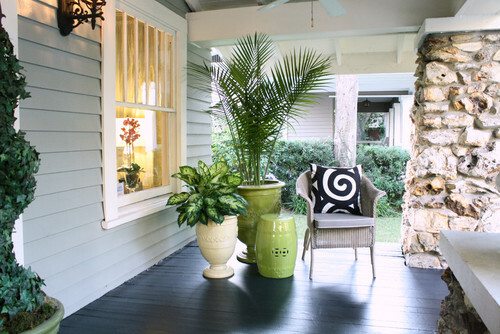 In fact, large planters are excellent for creating a center of attention in your garden. I have also used large planters with (narrow base) in tight spots. They do not take much space on the ground and give you a nice pedestal to grow your favorite plants. 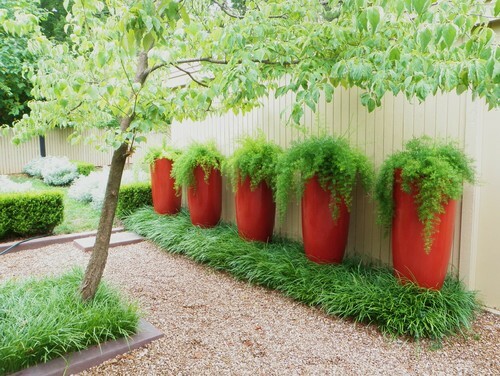 There are numerous ways to use large planters in your landscape design. Browse the following examples and see you can use these creative ideas and spice up your landscape design. 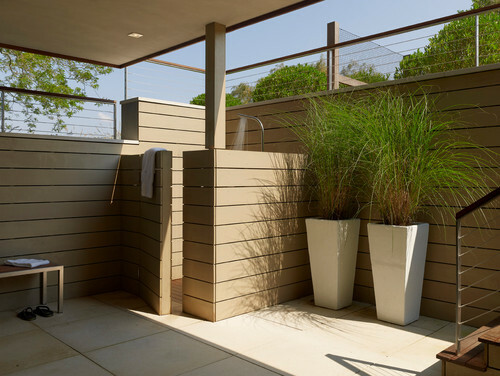 Large planters can be used in tight spaces. 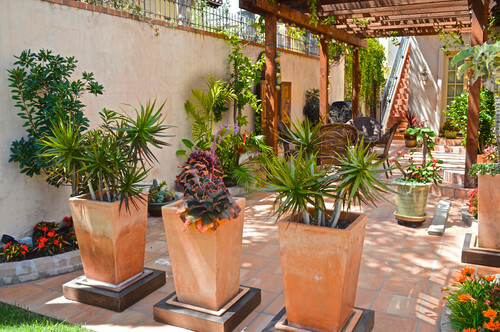 Large terracotta planters are very versatile. They come in many shapes, sizes and colors and can be used to create focal points in your garden. 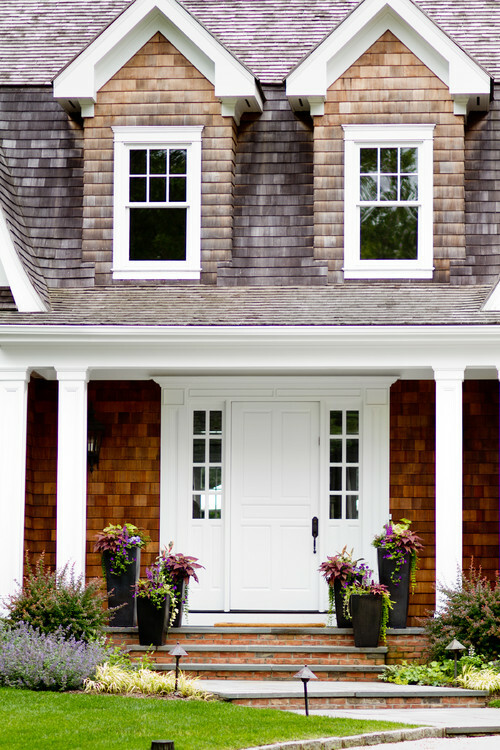 Large planters with annuals and evergreens placed at the front door create a nice welcoming effect and enhance the curb appeal. 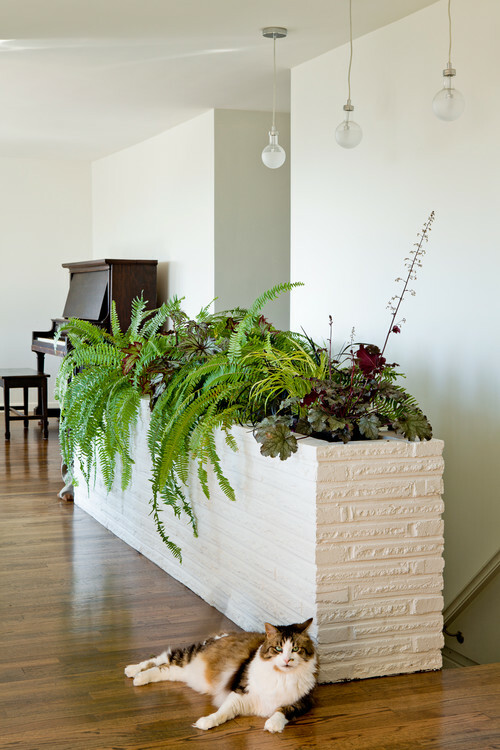 You can group large planters with ornamental plants in both indoor and outdoor settings. 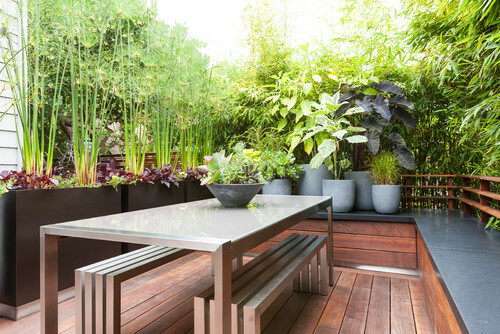 There are so many ways you can use large planters to create dramatic effects. Be creative. A beautiful example of mixed plants in a large planter. Big planters create big effects. Another example of large planters being used in tight spaces. Can you reproduce this effect in your landscape design?